Josh has been the senior pastor of Columbus Avenue Baptist Church since September 2013 and seeks to serve for the glory of God and the good of others as a shepherd and equipper of God’s people. He emphasizes building healthy families that stand out in the community (Deuteronomy 6:4-9), sharing wisdom across generational lines for the sake of mutual maturity (Titus 2:1-6) and leveraging opportunities for the church to “declare His glory among the nations” (Psalm 96:3). Before coming to Waco, Josh served as Associate Pastor for Young Marrieds and Community Ministries at FBC San Antonio. He has also served in churches in Arlington and Houston, Texas. 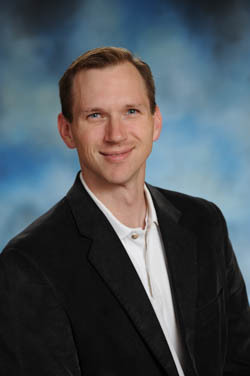 Josh holds a Bachelor’s degree in Christianity and marketing from Houston Baptist University and an Advanced Master’s of Divinity degree from Southwestern Baptist Theological Seminary. Josh married Christi in 2002, and they have three sons, Zakary (2006), Caleb (2009), Luke (2013), and daughter AnnaGrace (2016).